Worship at 8:30, 9:45, and 11am in the main Worship Center with Festival Choir, Brass, Handbell Choir, and Organ. Last summer many Mount Olivet young people had a great experience at Camp Wapo in Amery, WI. Register before March 15 while space is saved for Mount Olivet! Our teams are returning to Chicago after a great experience in summer 2012. Serving at multiple sites in Chicago. Hybrid trips at Wilderness Canoe Base are wonderful ways to combine a canoe trip with a mission trip. Extremely limited youth spots and adult leaders are now filled! Last year 90 kids enjoyed a week of jumping into the Bible and having fun with 90+ volunteers. Register now for discounted pricing. Volunteer signup will open in the spring! A new summer opportunity for our 4-6th graders! 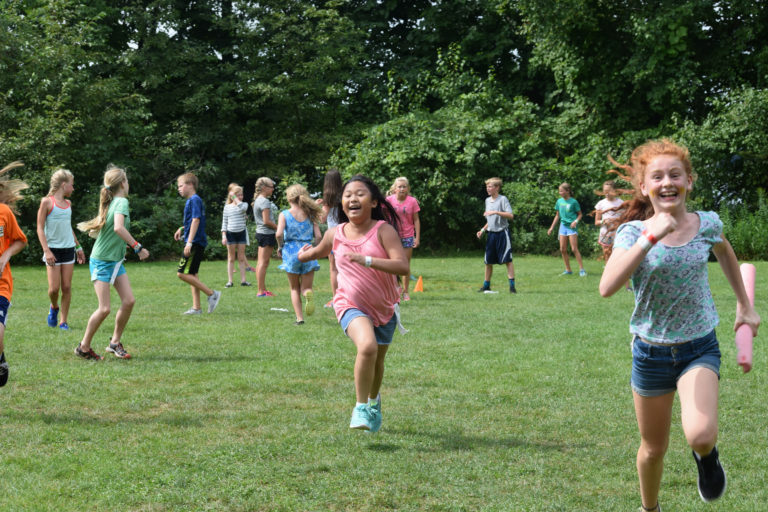 Spend four afternoons having fun and serving our neighbors - we'll participate in service activities in and outside of Mount Olivet, bravely take on challenge and leadership games, and spend some time having good ol' fun. 4th graders may spend each morning participating in VBS while 5th and 6th graders are encouraged to volunteer for VBS. If you are a part of VBS, pack a lunch and we'll eat together before we begin our afternoon.